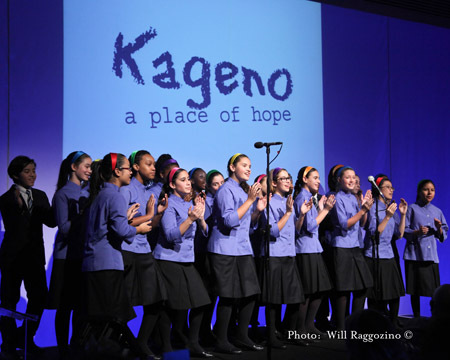 A few weeks ago, Kageno produced their annual fundraising Harambee. 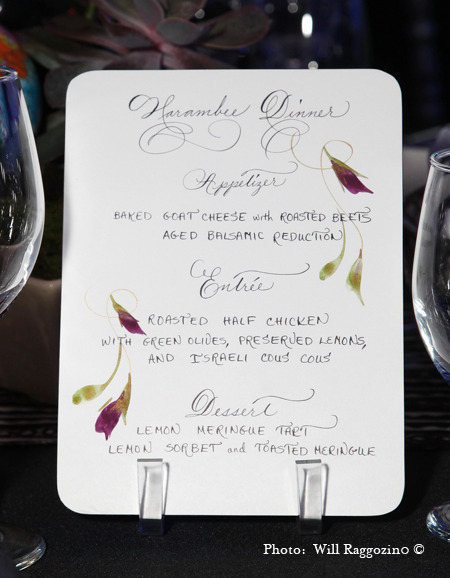 The Delicate Pen donated menus, place cards and table numbers for the event. I assisted with the Needs Tree. I signed up as soon as I knew there were paper tags involved! 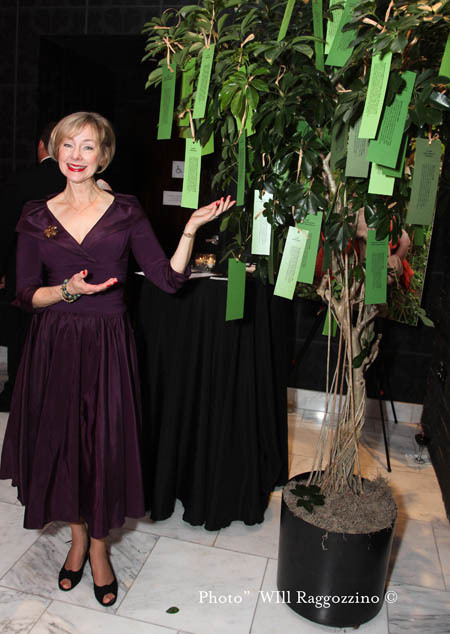 Our tree raised over $1600, with special thanks to Sally Bruns and Romy Chenet, for assisting me. Our needs included school supplies, fruit trees and medical supplies and staff. The Young People’s Chorus provided the entertainment and the evening was a success. I was asked by the Lower Eastside Girls Club, to join in the festivities of the Angel Alliance Fall Benefit, which was held on Monday. I set up my inks and pens and lettered names or dates or short quotes on bookmarks and notecards in exchange for donations to the club. I also donated a crystal box to the raffle. (If you won, let me know who you are!) 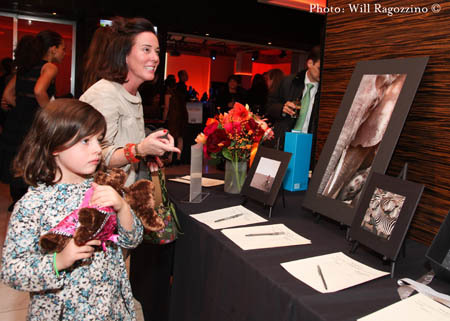 I had no knowledge of the organization until I was asked to join other artists for the evening, but I loved the group of people, learning of their mentoring program and their mission, as well. The Girls Club is a place “where girls 8-23 can grow, learn, have fun and develop confidence in themselves and their ability to make a difference in the world,” their website states. 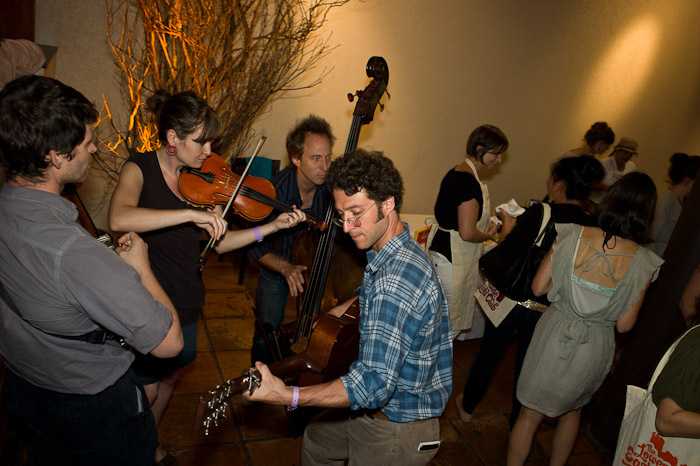 Photographer Aaron Lee Fineman is kindly letting me share some photos he took of the evening. 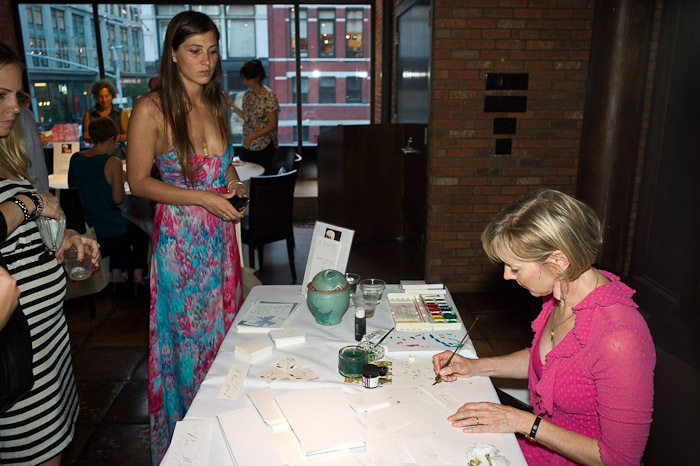 I was one of several artist donating services for the Angel Alliance Fall Benefit for the Lower Eastside Girls Club. I created offhand bookmarks and greeting cards. Autumnal music provided a festive atmosphere. 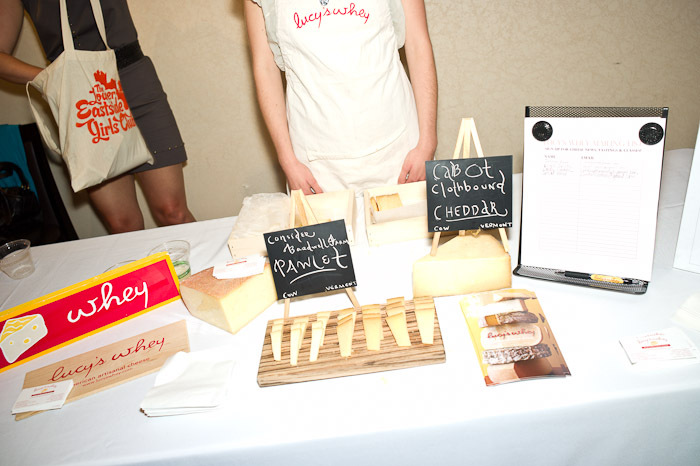 Cheese courtesy of Lucy’s Whey of Chelsea Market. 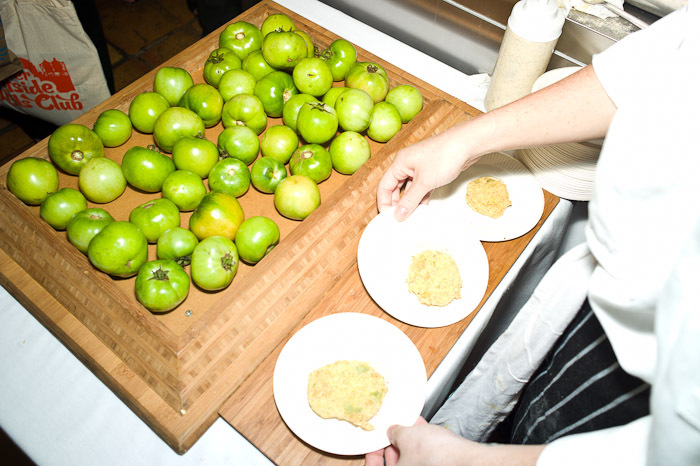 Seasonal food of fried green tomatoes and crab cakes courtesy of Mary Cleaver of the Green Table. The evening was deemed a huge success!